Open daily from 6.30pm till 9.30pm. Last orders 9.15pm. Macleod's Restaurant is a traditional yet elegant, bright and airy restaurant which has been popular for many years with those looking for a special dinner on business or for romantic or indeed family occasions. The recently extended Macleod's can also be used for private dining, up to 60 people. 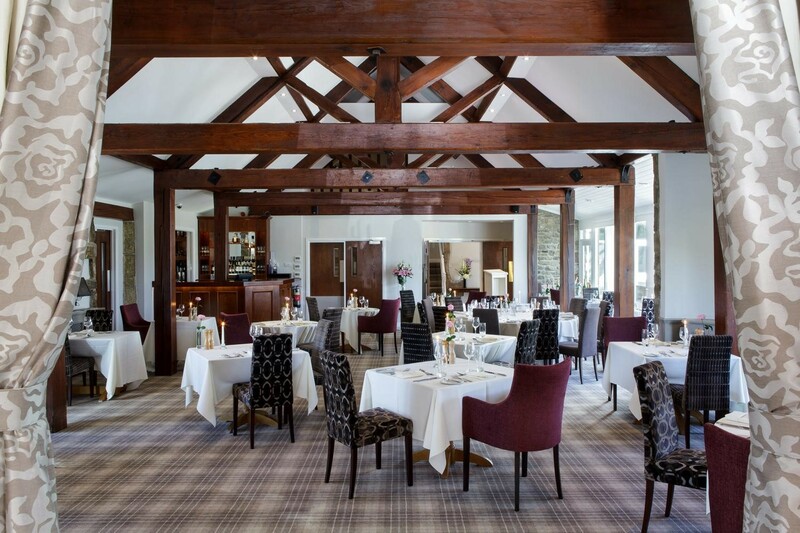 it is open every evening serving beautifully prepared organic and locally sourced dishes. As far back as 1992 Macleod’s restaurant has been the culinary centre of the hotel. Even in the early days a major focus was placed on high quality local ingredients, and when the seasons allowed, produce from the estate such as fish and game were often used in certain dishes (some of which still sit pride of place on our menu). Today, with its crisp white table cloths, smart glassware, and exceptional service, Macleods sets a different pace and service style to the Huntsman lodge. A slightly more “old school” style, where we make no apologies for the “ladies before gentlemen” attitude that sometimes gets lost in modern restaurants. So what’s so special? Homemade flavoured breads that are baked daily in our kitchens, a refined and interesting menu which packs bags of flavour and Yorkshire produce, all matched with immaculate presentation. We are really proud to call this the heart, and the start, of the Coniston culinary journey. We had a lovely meal at Macleods, the food and service is excellent, we have been as a couple and have also visited as a large family group and each visit has been perfect. We will definitely be returning at some point in the near future and would recommend a visit if you like a high standard dining experience. Excellent afternoon tea selection. Service could have been a little bit more prompt in asking if we would like more tea. We sat quite close to the piano so could have been slightly loud but liked the atmosphere. Hi. Upon been seated noticed cup was dirty. replaced very quickly I might add. Not keen on allowing dogs in the eating areas. Just a personal  thing. We dined with our friends and each of us fully enjoyed the experience. We will return. Surprised to find that the 3course menu had gone up by £6 since you sent me the information a few weeks ago. Excellent food and excellent service. My boyfriend and I thoroughly enjoyed our meal at Macleods. The setting is beautiful with the bar next door, food amazing and our server made us feel welcome and cared for. Thank you to all at the hotel and restaurant who made our stay so enjoyable and relaxing. Will definitely be looking at returning! Amazing food, amazing service.. can not fault anything.. The staff went out of their way to make everything perfect for us..
Top quality, top staff, top choice, all at good prices. recommend wholeheartedly. Lovely place to stay, all the staff are very helpful and not too serious like you get in other similar priced hotels. The rooms are fantastic, the bars and restaurants are brilliant with great food and drinks. Really nice spa too! Everything absolutely wonderful. Great knowledge of gluten free food. An excellent and meal. The service, food and ambience made for a most enjoyable evening. Couldnt fault it! Look forward to repeating the experience. Such a lovely experience from start to finish.All staff were very professional and friendly.Thankyou so much. Disappointed with the food, all undercooked. 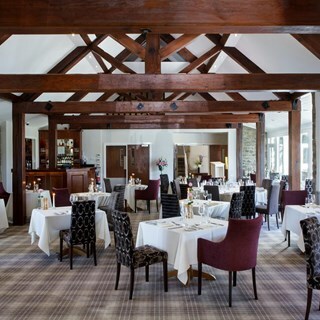 I’ve stayed at Coniston spa previously and really enjoyed the food at Macleods. A thoroughly enjoyable experience. The food was excellent and the service was impeccable. Can't wait to do it again! Delicious food. Very attentive and friendly service. Pleasant atmosphere. Panoramic windows giving lovely view. Excellent meal with a terrific wine menu. Our waiter was superb and very helpful. The service was first class you were made so welcome.